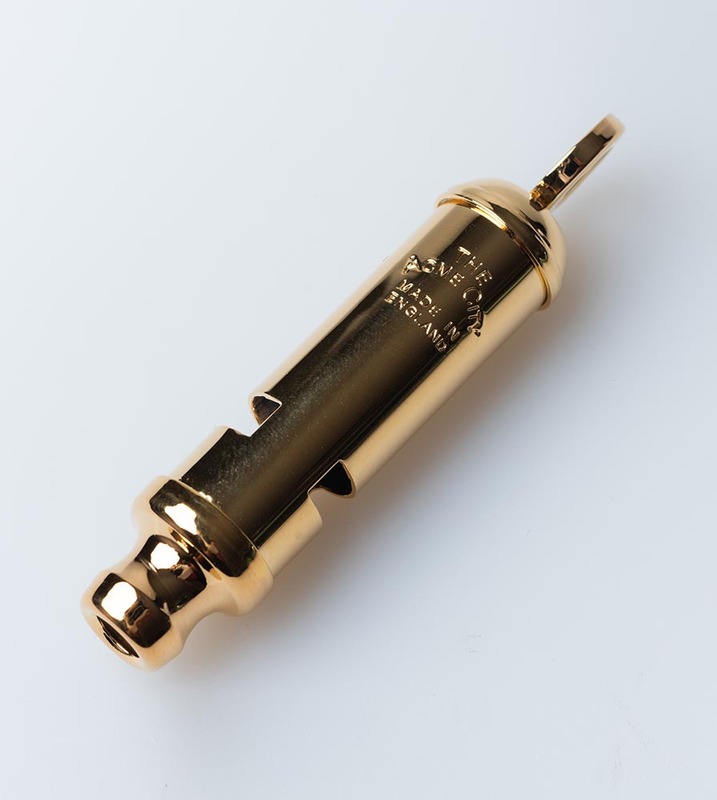 The Classic Ladies Metropolitan (Bobby's) Whistle/ City Whistle used by the Police Force in the United Kingdom. Gold Plated. High quality. Hang on your key chain or neck for security. Dimensions: 2- 9/16" Barrel diameter 1/2".